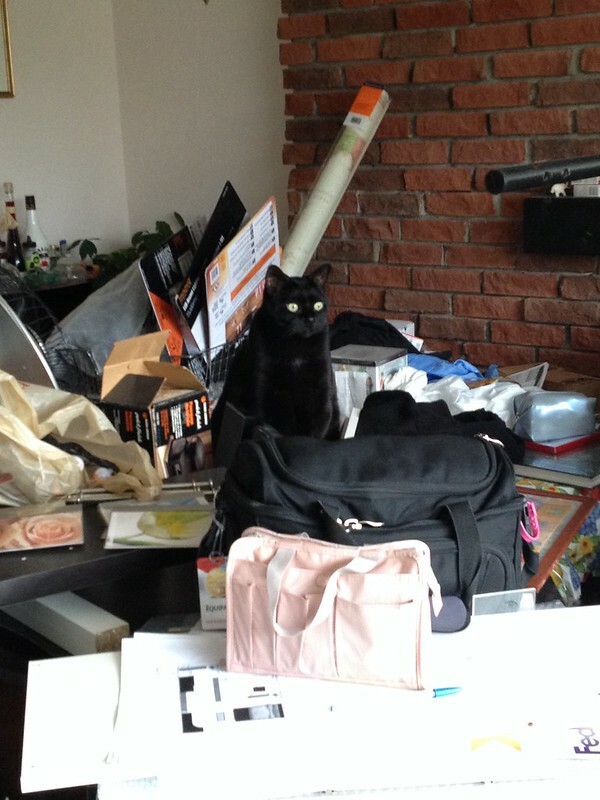 Since we live in a townhouse complex, there are rules about what we can and cannot do and it took lots of emailing back and forth to get the final layout approved by the townhouse corporation. A couple of hiccups to AlphaZ’s design was the huge water heater (that was original to the house! ), and the position of the gas meter. 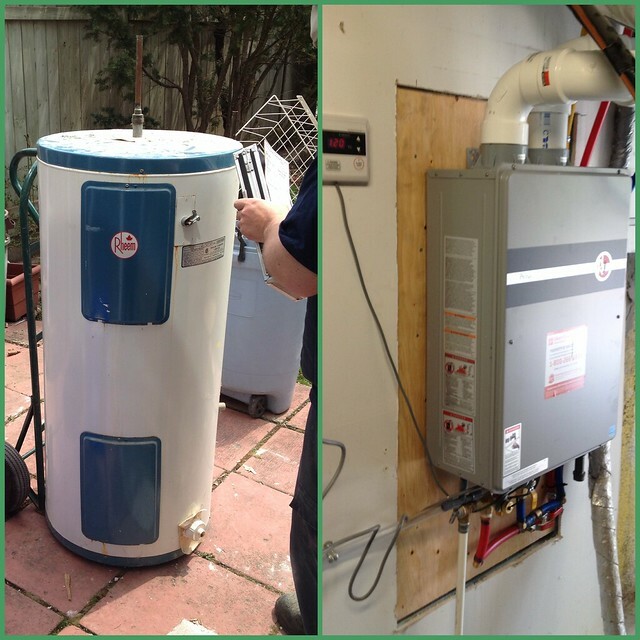 The gas meter had to be moved, which took several inspection appointments before it was finally done by the gas company, and we removed the old water tank and upgraded to a tankless water heater. It takes up much less space and now when guests come over I don’t need to wait for the water to heat up before I can shower!! ^__^” I was told that 2 people can shower at the same time, while doing a load of laundry while someone is washing the dishes. I may test this out at a later date. ^__~” The new water tank is smaller than some TV’s and mounts nicely onto the wall. 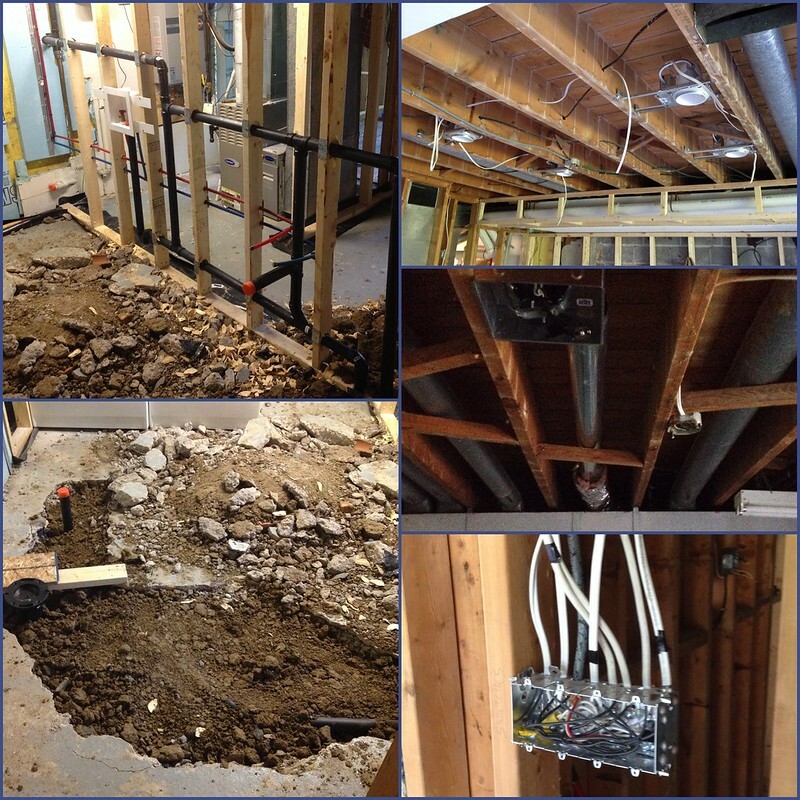 Last week the plumber came and installed pipes for the new bathroom/laundry room and the bathroom was fan installed – which involved drilling through 13″ of concrete! The electrician came and installed ceiling pot lights, as well as a very complicated electrical matrix since AlphaZ’s new plan involves lighting for the display cases. 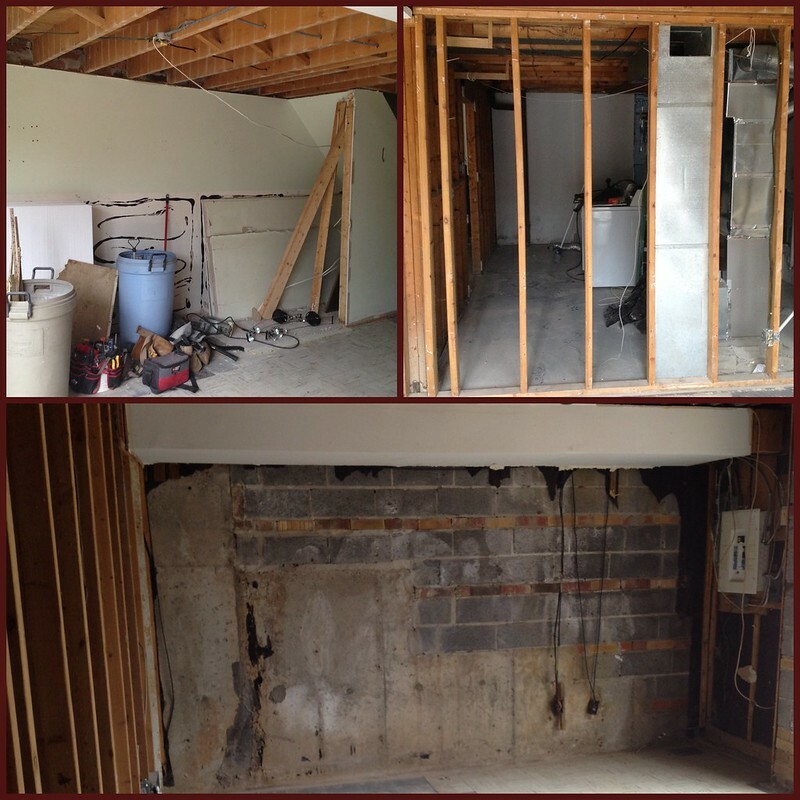 This was probably the most drastic and terrifying part of the process for me – since we had a giant hole in our floor! @___@” But a few days later after the plumbers were done installing the new water connections for the toilet and bath, fresh concrete was poured and I wasn’t as stressed out. Which leads me finally to this weeks progress. I took these photos yesterday 🙂 All of the sub-flooring has been finished, all the new walls have been framed & insulation put in as necessary (which was practically everywhere @__@). 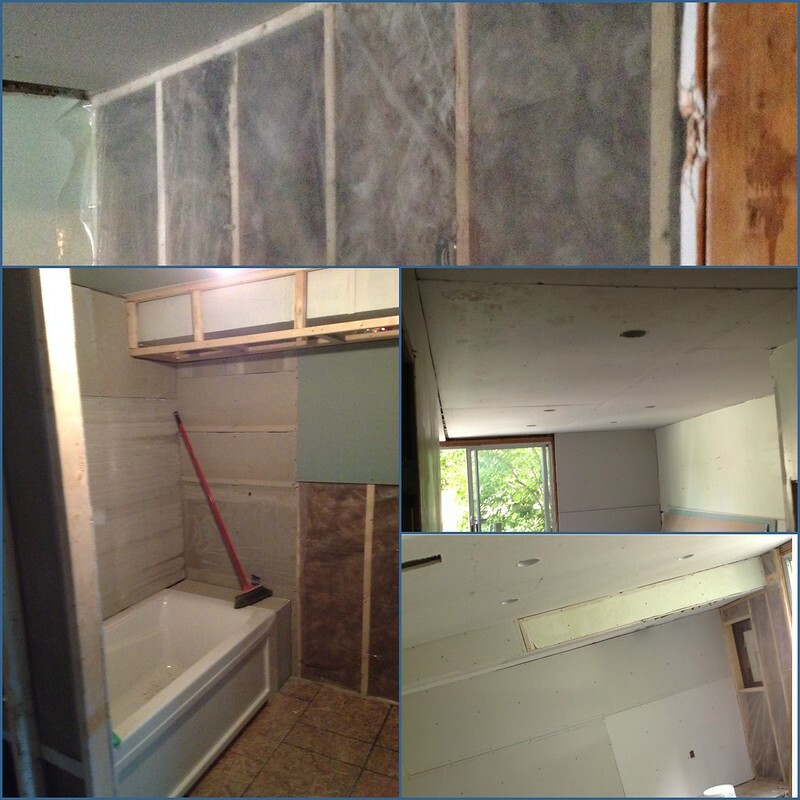 The drywall is almost finished too- my bathroom has a wall now! The bathtub has been installed and basic water connected, but our fixtures haven’t been installed yet. Soundproof insulation has installed in ceiling, and a few more pot lights were installed. It’s all starting to come together slowly. There’s still a lot to do, but now that most of the building work is almost done, it’s easier to imagine what the room will look like once it’s done! Thanks for reading! I very rarely put up personal posts but the past few weeks have been such a major upheaval to my routine that I needed to share it @__@” I’ll hopefully be back to a more regular posting routine soon. 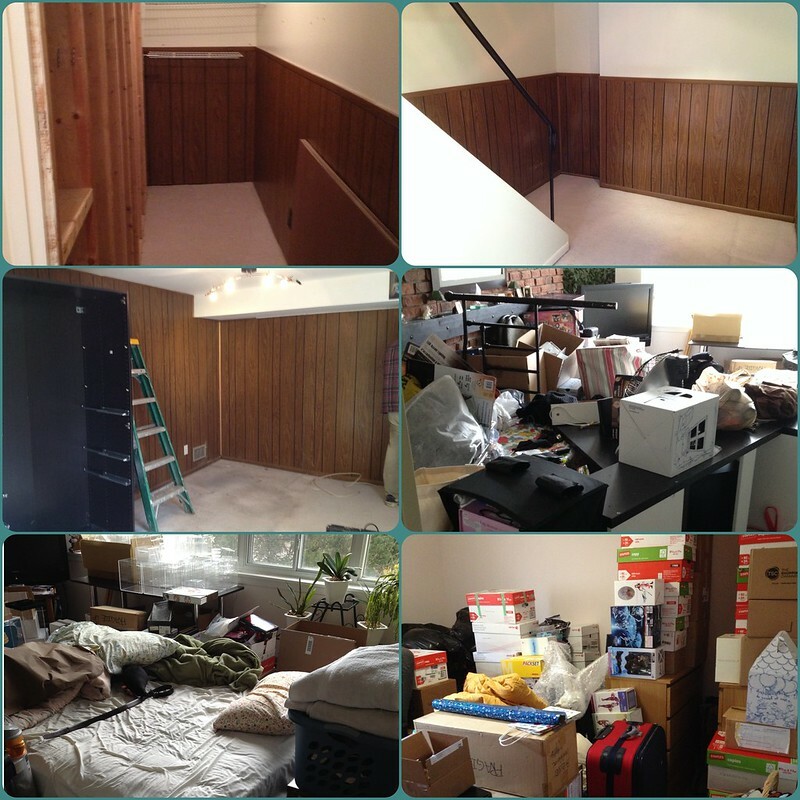 This entry was posted in Personal and tagged renovation by archangeli. Bookmark the permalink.